Structural conditions– Time… place…resources and useable data. Supportive relational conditions– Community members have respect and regard for each other. Shared values and vision– The community’s conversation and actions are grounded in a shared vision of what the school should be about. Intentional collective learning– The professional learning community’s enduring purpose is the continuous learning of the professionals — the educators. Peers supporting peers- Community members invite each other to their school or classrooms to observe an identified school or classroom practice of the host member. Shared and supportive leadership- The principal and the professional learning community members create opportunities for teachers to assume leadership roles and support them in developing the knowledge and skills to do so. I will be conducting several workshops this summer to extend teacher leaders’ roles in building coaching cultures in their schools. The conditions that Hord identified reinforce the value to be gained by teachers increasing their experiences with peer coaching. First, my experience indicates that shared values and mission and the development of professional respect often emerge when teachers conference with each other around observations in their classrooms. In a pre-conference when teachers ask about the “thinking and desires” behind a learning activity they are about to observe, they often hear values and mission that match their own. My finding is that these conversations seldom occur during “group planning” or “data review.” A “listening interest” often encourages a teacher to share values at a deeper level in a pre-conference. Second, peer coaching builds a teacher’s consciousness about “what is actually happening” in my classroom. Often teachers in PLCs report to each other about learner actions they observed while teaching which can differ substantially from observations by another person not weighted with the instructional responsibility. I have had the opportunity to observe a lesson in three teachers’ classrooms which they “co-designed”. Listening to their post debrief, it was obvious that they thought the similarities in experiences where much greater than what I observed. Note, I’m not suggesting that the differences were a bad thing, only that the teachers were unaware of them. That lack of awareness decreases learning opportunities for the teachers. Third, peer coaching creates awesome learning opportunities for the observing peer. The level of observation and analysis of the teaching /learning process that one gets to experience while coaching creates understanding and reflection that cannot occur in isolation in your own classroom. While watching a teacher probe a student struggling to make connections, I can focus on the approach the teacher took, note how the student responds, consider alternatives available to the teacher, and ponder what I would have done in that position and what I might do in the future. Lastly, peer coaching provides the opportunity for shared celebration of teacher success in gaining student achievement. 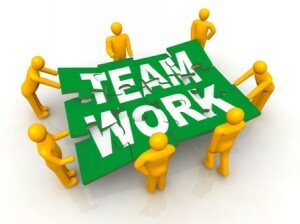 Above all, collegiality means rooting for the success of one another. \you jump out of bed to go to that school.